Licinio Marastoni was born in 1922 in Reggio Emilia and was a successful amateur racer. He was originally destined to become a priest but left school at the age of 11 and decided for cycling and how to build bikes. He was so good that by his 17th birthday, he made frames under his own name. After the war he had to restarted to built bikes, which were pretty advanced for their time. The Marastoni brand is affirmed in Italian cycling history as a guarantee of traditional craft with the passion for a totally custom approach. 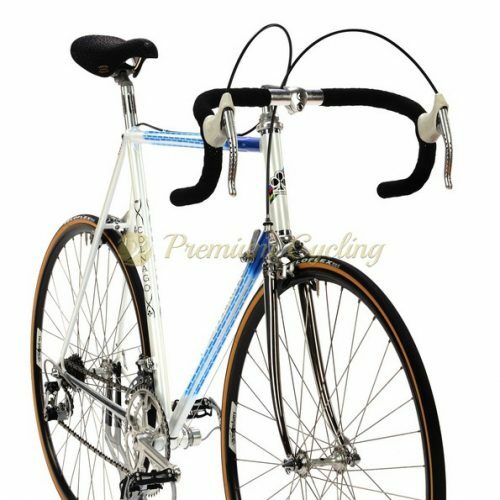 The 1960s and 1970s represents the golden age of Italian cycling and Marastoni embodied, among other brands, the values of historic framebuilders worldwide. Licinio earned its reputation in top level framebuilding by hand-built meticulous and craftsman’s attention to detail. He built frames for a numbers of pros, including a TT frame with Bianchi decals for Coppi, and a severals frames for Moser, including one used for one of Giro d’Italia victories. Here we are proudly presenting one of the most unique bikes, the MARASTONI track bike from early 1960s by Licinio Marastoni. Licinio was the master of customize details, extraordinary lugs which were always ahead of the time. 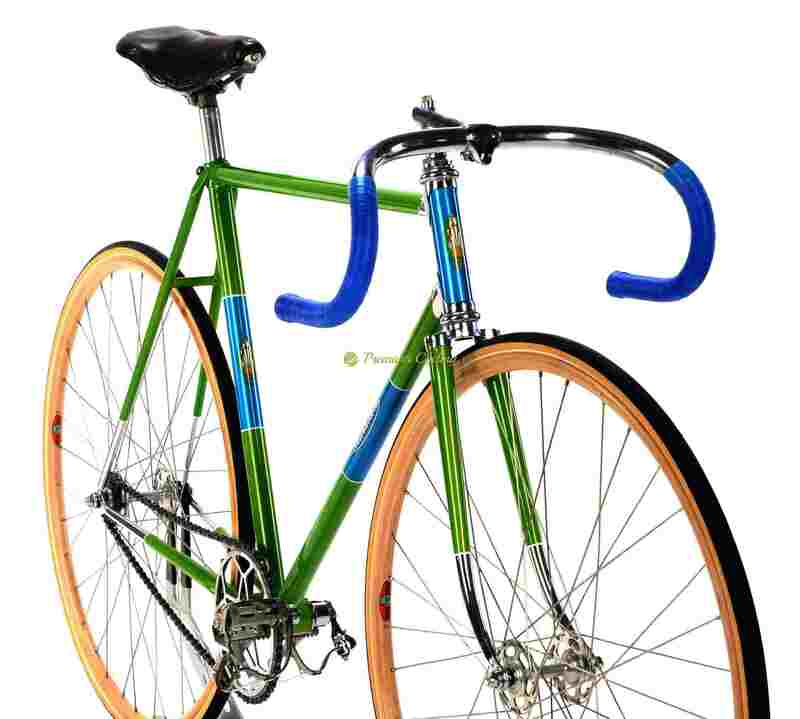 The frame is build with very rare parts which are extremelly rare and made only for track riders back in 1960s – Stronglight Competition steel crankset with especially designed HUMBER chainset, Campagnolo Record Pista parts (hubs, bottom bracket and headset), Cinelli Pista cockpit, wooden Ghisallo rims and Sheffield pedals. Love at first sight. A work of art. Extremely rare. Condition: The frame completely rechromed and refubrished. No cracks, no dents, not bent. Original paint and decals. All parts are working fine.